Read more about Deportation is criminal and We fight to stop it! 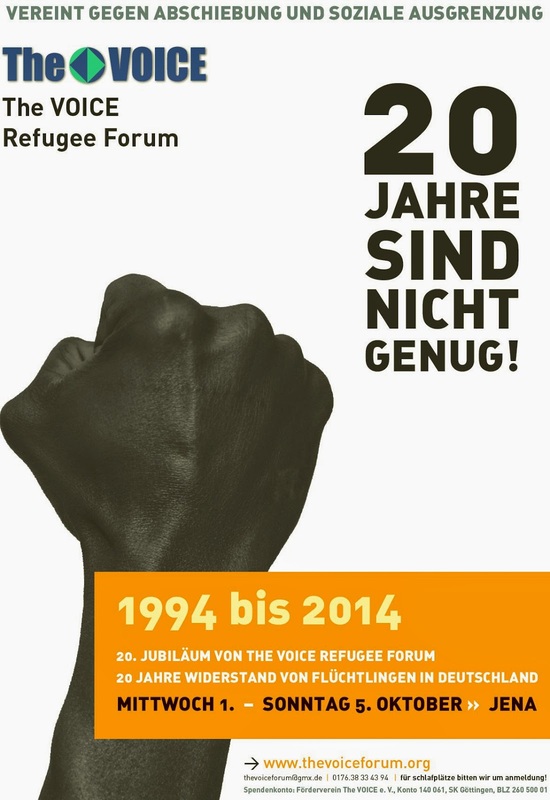 The VOICE Refugee Forum meeting on the Caravan call for Community Exchange on Deportation and how our resistance can be organized, which will take place on Sunday on the 20th of March in Jena. We are inviting refugees to the discussion on refugee community campaign in Thueringen with Refugees from Apolda, Gotha and the Roma Community Erfurt. Germany has always Capitalised on the stooge cooperation of Refugee Countries government to execute its racist culture to deport and enforce its massive exclusion policies. Rise up and Join us in our struggle to fight against the German Colonial Deportation System.